Aarhus is a port city and the second largest city in Denmark, residence to 1.378 million people. Impressive history and contemporary living are well brewed together. Rustic, archaic cobble streets overflow, as the street comes to life at night. A clandestine sense stirs the atmosphere – of a city waiting to be explored. 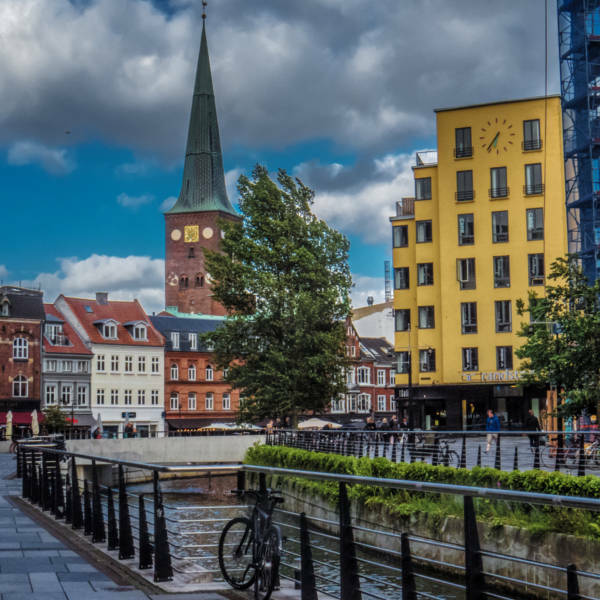 Cheap flights to Aarhus are now available for a limited period of time, so get ready to be enchanted by this beautiful city. 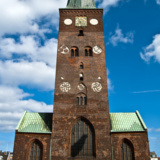 Aarhus is home to the Aarhus Airport (AAR), which is approximately a 40-minute drive from the city center. Rustic, archaic cobblestone streets overflow, stirring crowds into fanatical night living. Relive times gone by as a clandestine sense of a city waiting to be explored stirs the atmosphere. Specialty museums flaunt hidden treasures at many fascinating quarters. Ancient buildings seal the past time of this remarkable metropolis, while surrounded by a brew of contemporary designs. Relish in the traditional Smørrebrød and bring your taste buds back to life. 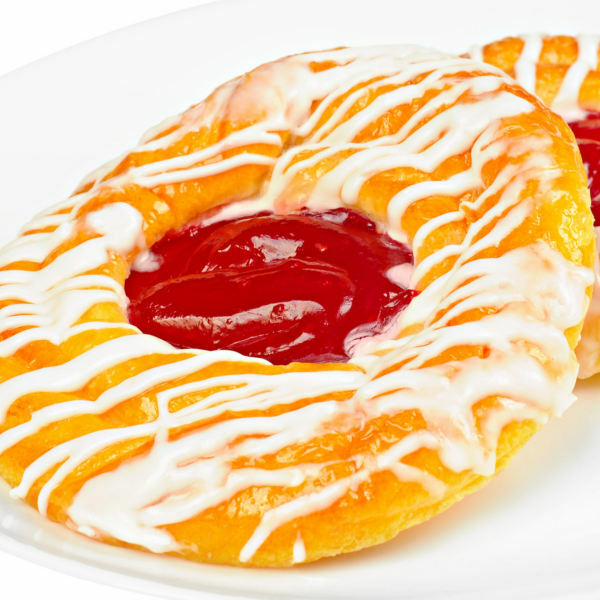 Devour succulent oysters, salad buffets, or classic Danish liquorice – Aarhus has it all. Gold, crimson, and ruby-red leaves adorn the trees in autumn (September - November). An array of colourful dwindling leaves sweep across the streets of Aashur, while the littoral waters get downright cold, as early as September. Temperatures can drop as low as 15 degrees Celsius in winter (December - February). It is less icy than the northern Scandinavian countries, hovering around a mild freezing point. Cold sea air sweeps through the city from the ocean, keeping the frost off the coastal towns. Aarhus, like the rest of Denmark, is very cold and chilly in winter. During spring (March – May), the city sees a vibrant spring life. Bright beautiful days bring lots of sunlight and cloudless skies. Days are filled with cheer and joy across the city. People come out from hibernation, and crowds pull into the city. When the climate is warmest, and the landscape is at its most beautiful, summer (June – August) pulls in a considerable crowd. Tourist facilities and transport services operate in full swing. Summers are seldom stifling, with warm sunny, cloudless days keeping a consistency of 20 through 26 degrees Celsius. Expect the most popular attractions to be crowded. 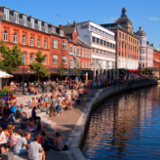 Aarhus, is always following in the footsteps of its eldest sibling, Copenhagen. Although the city has always been smaller in comparison, allowing for easy travelling across town, by either foot or bicycle – people are joyful and happier. The city is now in the lime light, with its present venture to be joint with the European Capital of Culture. 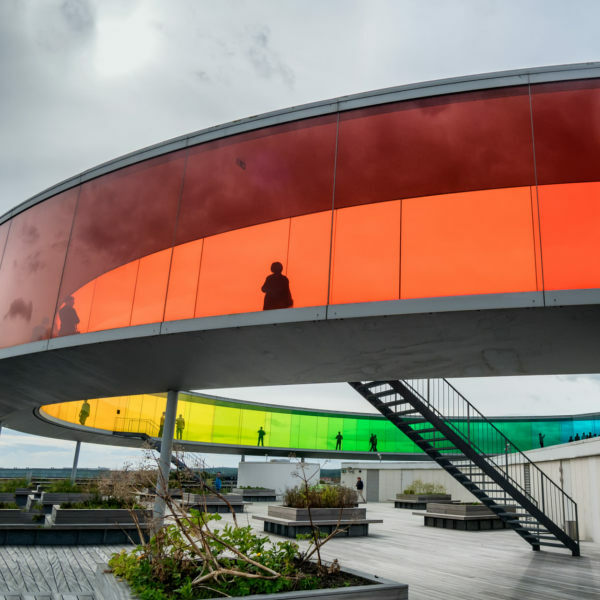 The harbours have been transformed and renovations done on the Aros Art Museum, which in turn promises to be one of the world’s top 20 museums. With so many ancient and contemporary architectural designs, new age customs, recently renovated museums and unlimited gastronomic cuisine, the city has more to offer than meets the eye. Compare several airlines, and book your cheap flights to Copenhagen online at Travelstart! There are vaccination requirements if you are travelling from a country outside of the US. There are no real health risks within Aarhus, Denmark. Once an old dance hall, the trendy, well established hostel has been refurbished to meet the needs of enthusiastic travellers. The hostel is 3-kilometers north of the city centre, in beautiful woodlands close to the beach. A perfect place for family vacations, with well-spaced and luscious patches of lawn, great for outdoor fun. Numerous accommodation facilities teem with spectacular room views, private bathrooms, and free parking. The best of Scandinavian interior designs adorn the walls and rooms of the modern day hotel. Light wooden flooring, luxury beds, and designer chairs make the traveller feel appreciated. The hotel is in close proximity to the city centre, popular tourist attractions, and railway station services. With free tea and coffee services around the clock, who wouldn’t feel at home? If the feel for country is close to your heart, you’ll find the villa a-home-away-from-home. With gorgeous country style interior decor, the exquisite retreat boasts chic rooms and facilities that are designed to meet your needs. Relax in the café or lounge outside in the cobblestoned courtyard, under the towering lime trees, and enjoy the sound of placid fountains. • Bicycling: Free city bicycles are available from locations around the city from April to October. A few shops around the railway station area also rent bicycles. These require tokens, and are refundable upon return of the bicycle. • Buses: In-town buses are yellow and stop close to the train station, at Park Allé. You can purchase a ticket from the on-board machine. Ticket information, maps on travel routes, and schedules are available from the bus station at Fredensgrade. • Car and motorcycle: Any city is best explored on foot. But cars are great for getting around the city outskirts. There is paid undercover parking in municipal parking areas. Street parking has meters, so always make sure you have coins when travelling. All the major car rental agencies have station desks at the city airport, however, it is best to book in advance.